More than 50 new emojis will be available in March according to the final list from the Unicode Consortium. Inter-racial couples, a guide dog, and a woman in a wheelchair are among the latest crop of emojis slated to be released this year. The Unicode Consortium, the non-profit organization that manages the world's emoji standards, announced the list of 59 new images this week, as well as 171 variants for gender and skin tone. Inclusive characters dominated this year's batch and users will soon be able to use characters that reflect couples' different races and genders under the "people holding hands" emoji. Dozens of other new accessibility themed icons -- such as prosthetic limbs, hearing aids, and people moving a finger between their ear and their mouth in a nod to the deaf sign in American Sign Language -- have also been added. Following a campaign by girls' rights charity Plan International for a menstruation-themed emoji, Unicode Consortium also introduced a new "drop of blood" icon. Another image has sparked an online debate about the uses of the "pinching hand symbol" -- with many observers believing it will be used to reference a very small particular male body part. Other icons include a waffle, a playful otter, a flamingo, a Hindu temple and a yawning face. But these offerings won't be on your keyboards until later this year. 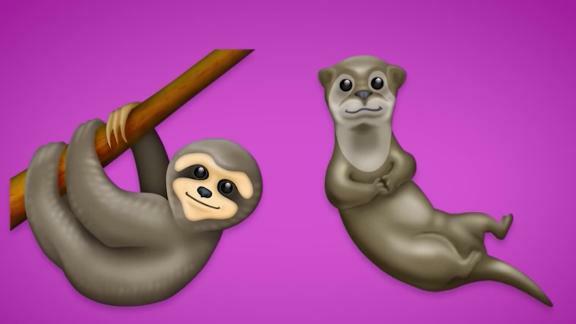 "The new emoji typically start showing up on mobile phones in September/October -- some platforms may release them earlier," the California-based Unicode Consortium announced on Wednesday. Each company that uses emojis, such as Apple and Google, puts their own spin on the tiny cartoons and picks which options from the master list to include. The interpretations can lead to controversy, such as Google's misplacement of foam somehow hovering above a half-full glass of beer, and the jumbling of ingredients (with cheese on the bottom) on its hamburger emoji. Both have since been corrected.